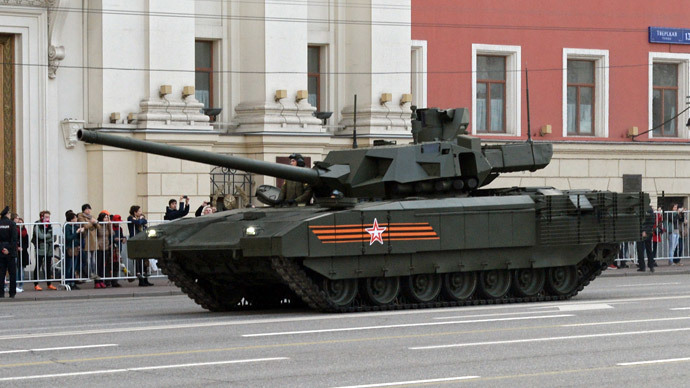 Russia’s new T-14 Armata tank is going to get an even more powerful armament, as the next version of the main battle tank will be armed with previously rumored 152mm gun, revealed the official in charge of the defense industry. 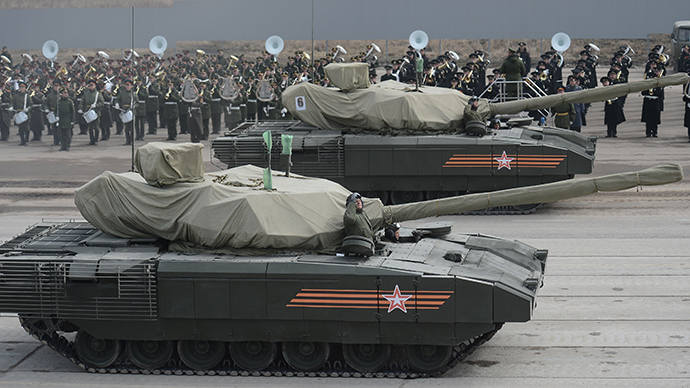 Deputy PM Dmitry Rogozin told Izvestia newspaper that next-stage Armata tanks will be supplied with already-developed big bore cannon and brand new projectiles. “We’ve got a new projectile for this tank than can burn through a meter of steel, we would arm Armata with that one,” Rogozin said. 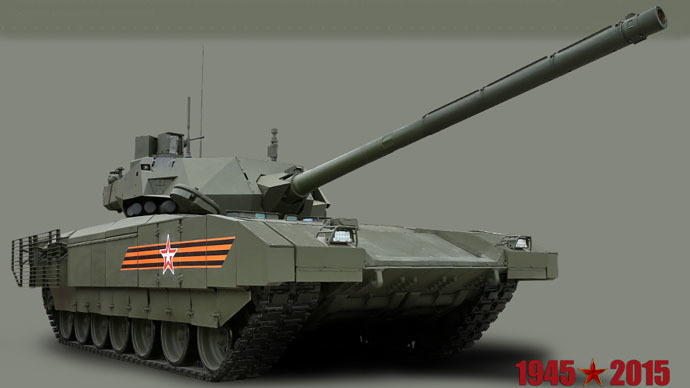 When the Armata (T-14) tank gets this 152mm gun, it will be the most powerful cannon to be mounted on a main battle tank of any country ever. 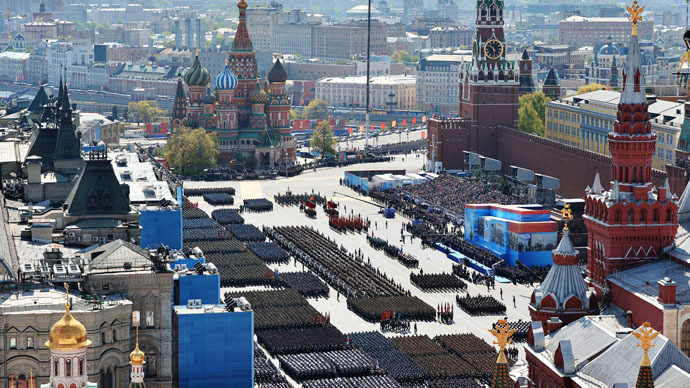 The unmanned remote-controlled turrets of T-14 tanks that rolled on the Red Square in Moscow on Victory Day, May 9, were armed with a brand new 125mm 2A82-1M smoothbore cannon with improved accuracy and angular dispersion. This cannon’s muzzle energy is reportedly greater than the world’s previously considered best tank cannon: the German Leopard-2 Rheinmetall 120mm gun. “No European country or the US has anything similar. This is a combat vehicle of the 21st century,” Rogozin said.